Send him your tired, your poor, your nuggetless masses, yearning to be free. Chris Christie might be struggling in his attempt to become the next U.S. President, but if he ever decides to run for class president, he’s a lock. Unsurprisingly, Christie responded with the kind of blunt, anti–Obama administration response that has become his signature. “I don’t care what you’re eating for lunch every day. I really don’t,” the candidate replied. 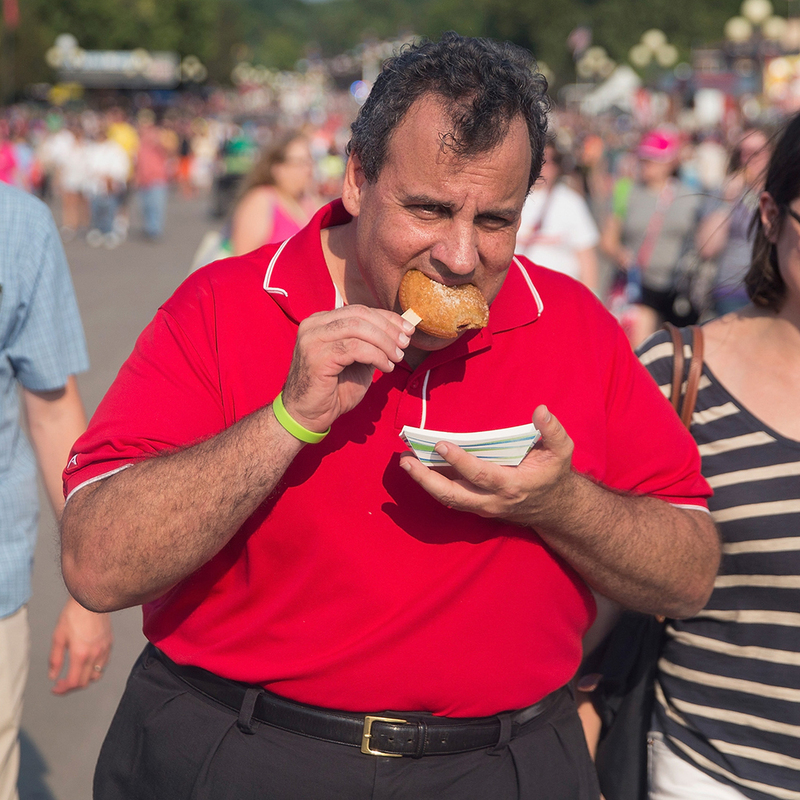 “If I’m president, back to whatever you want to eat.” Why stop there, governor? Why not toss in some free Good Humor Chocolate Eclairs? Are kids still into those? If not, they have no idea what they’re missing. To be fair, as much as Royal’s inquiry sounds like a loaded question, after hearing the details, I’m almost ready to take his side. Did you know his school used to offer something called a “crispito”—some sort of crispy taco? That sounds pretty delicious. I’m almost ready to go full Billy Madison and head back to elementary school for a couple weeks to give it a try. Meanwhile, Royal said he is so upset with the new menu choices, he takes a packed lunch to school. All that said, I’m not sure how much Christie’s attempt to pander to students who are nowhere near voting age will pan out. Then again, voting for a guy who will ensure they never need to pack another lunch for their kids might be just what lazy parents are looking for. Follow-up question: How does Christie feel about letting adults drink on their lunch break? Noma Chef Hopes to Fix School Lunches in the U.S.